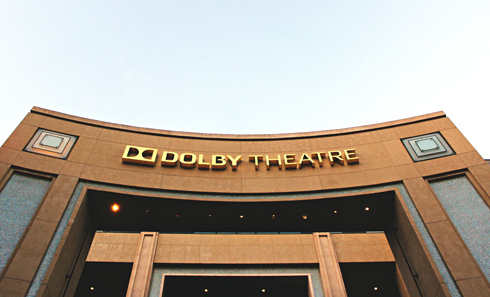 Opened in 2001 as part of the Hollywood & Highland complex in Los Angeles, California, the Dolby Theatre (formerly the Kodak Theatre) is a popular attraction on Hollywood Boulevard. 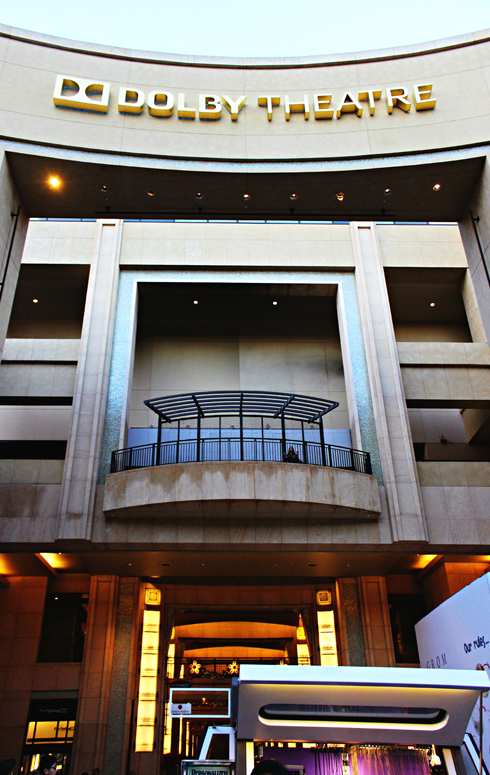 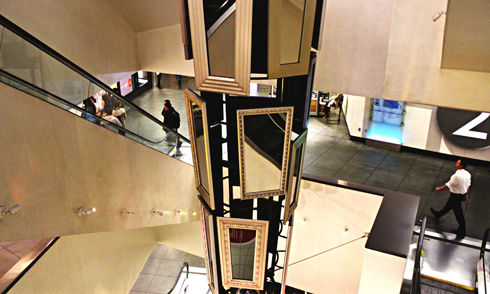 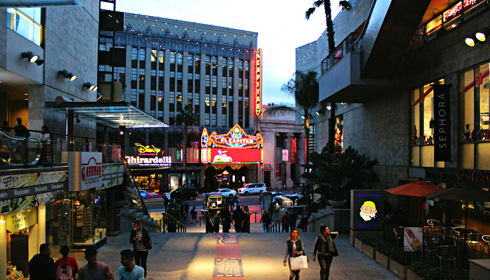 It's been the official home of the Academy Awards since March 2002, and the grand staircase has seen countless celebrities ascend as they make their way into the Dolby Theatre for the Oscars each year. 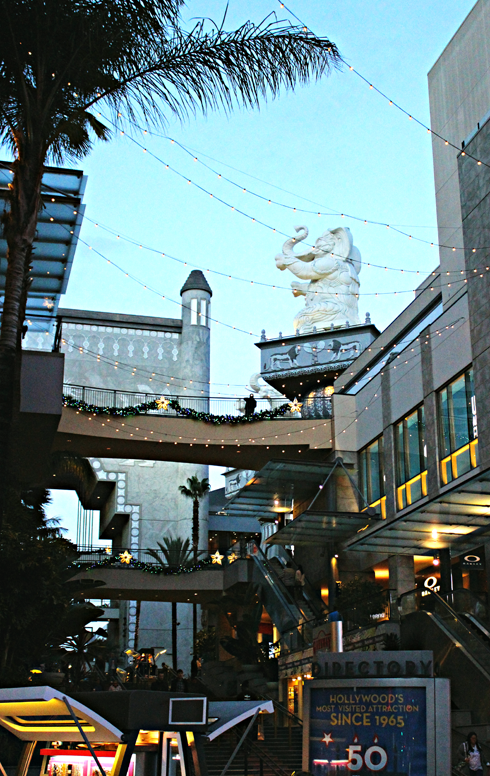 It has also hosted numerous concerts, the AFI Lifetime Achievement Awards, the Daytime Emmy Awards, and the finals for American Idol. 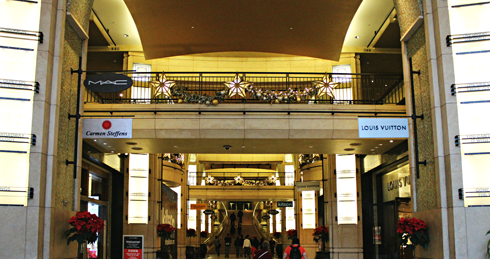 I toured the location just before Christmas, and despite being here several times before, it was a different experience with all of the decorations. 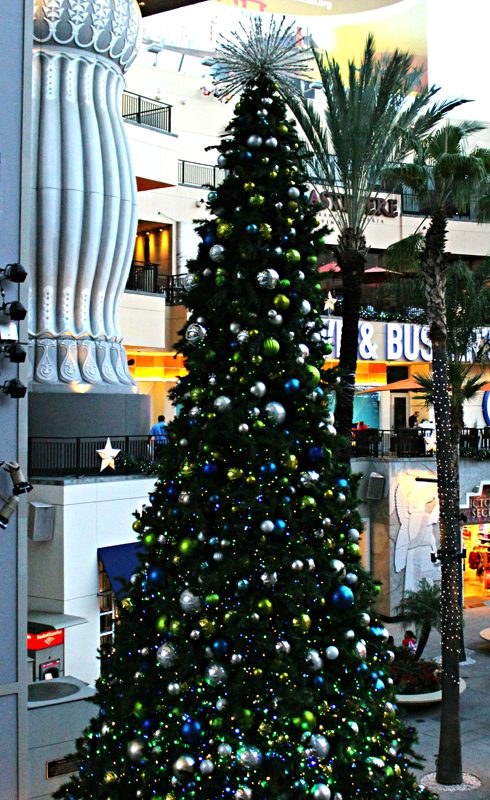 The large tree, lights, and music had me feeling festive. 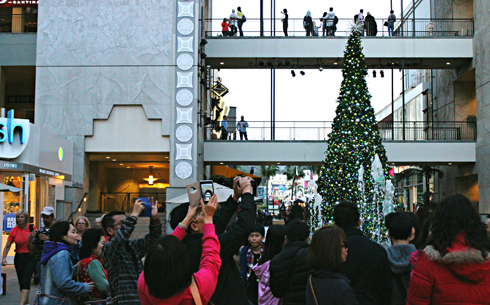 It's probably why I ending up buying an ornament for my tree here. 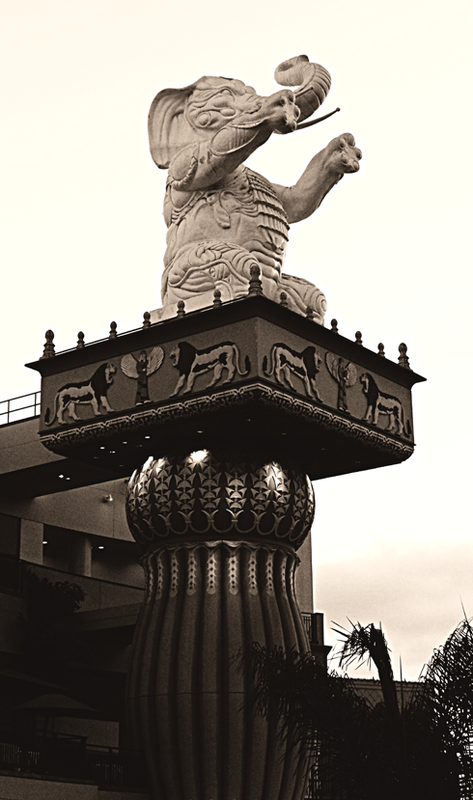 It was the only souvenir I picked up on my trip. 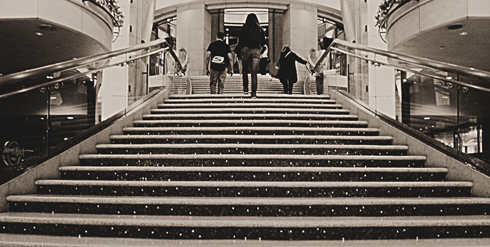 I previewed one of my pictures on Instagram and Twitter just before Christmas and it seemed to be a hit. 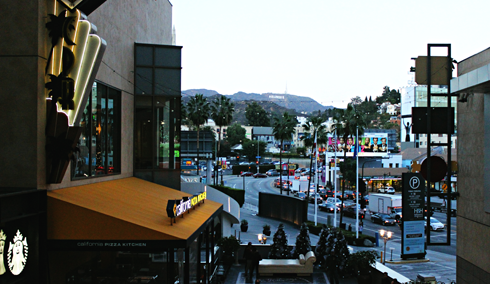 Hollywood & Highland was kind enough to tweet it. 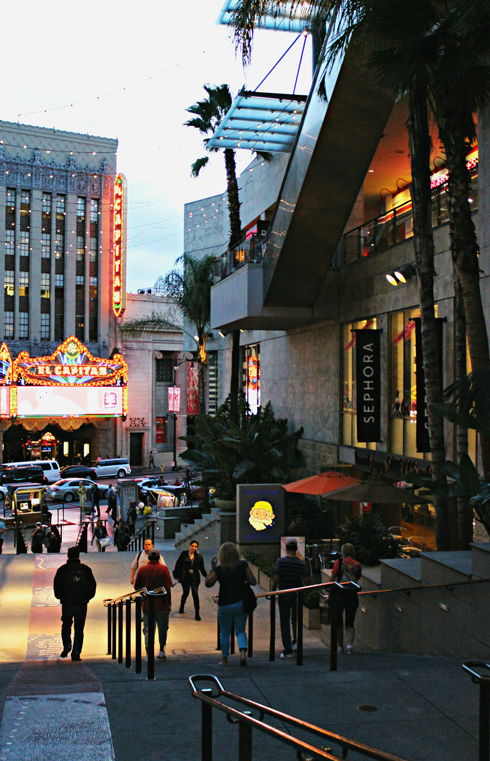 The Centre is neighbored by the iconic Grauman's Chinese Theatre, and you can't help but get swept up in movie history while touring here. 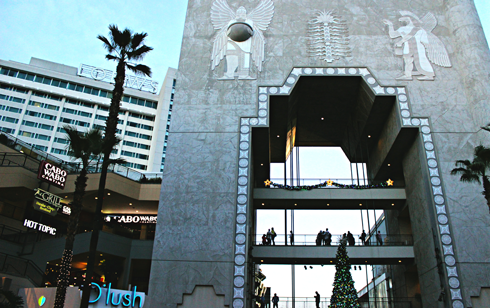 A large part of the design for the Hollywood & Highland complex was inspired by the Babylon set from D.W. Griffith's 1916 film, Intolerance. 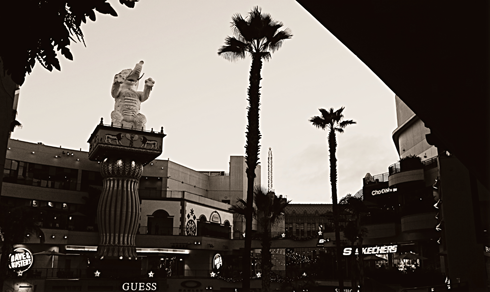 It was built on the corner of Hollywood and Sunset, and was one of the largest sets ever constructed for a single film in movie history. 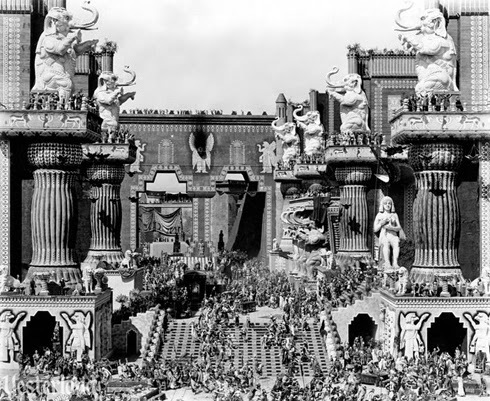 Over 3000 extras were needed to populate the Babylon scenes. 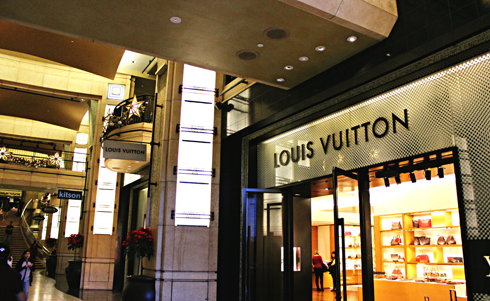 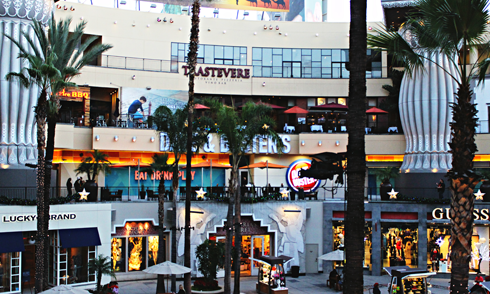 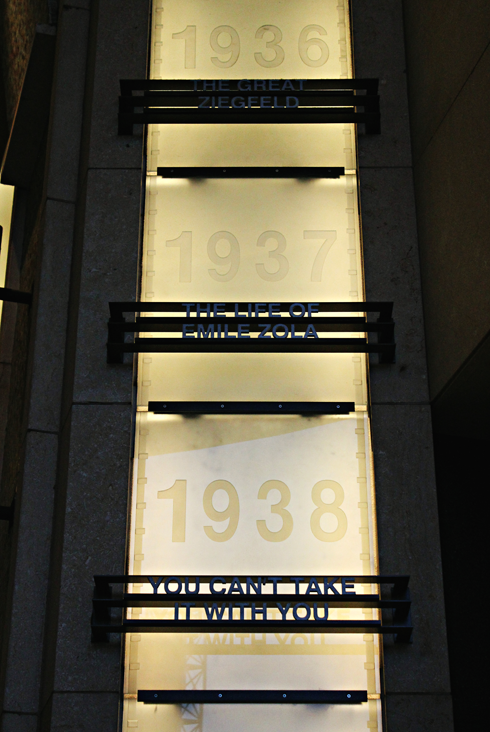 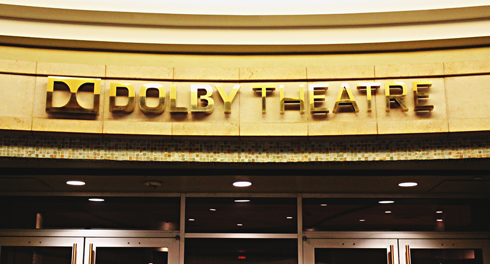 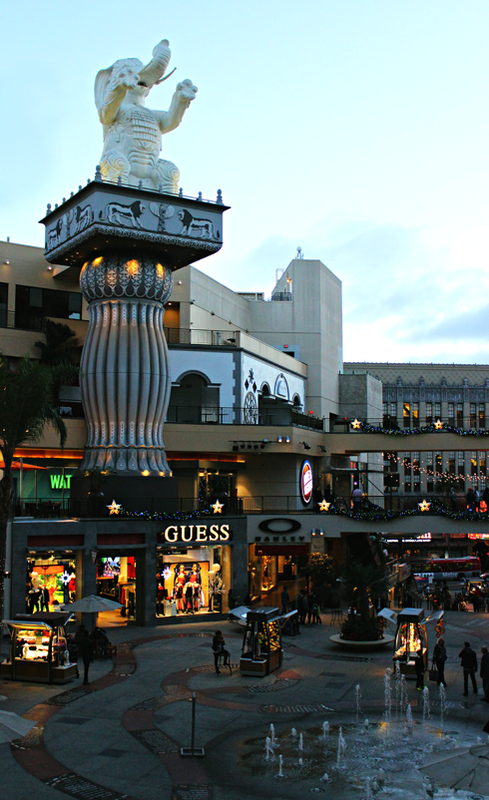 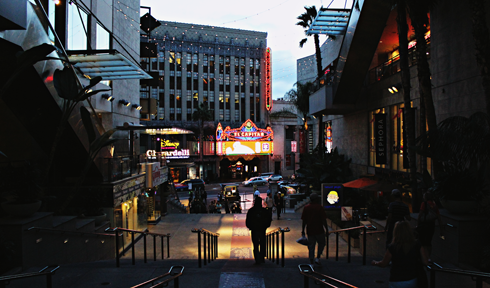 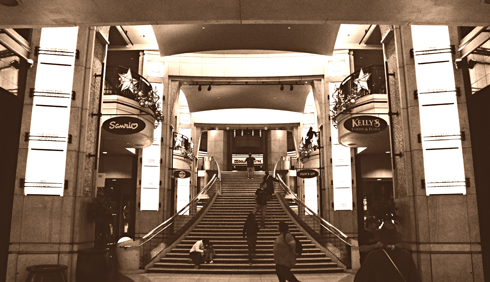 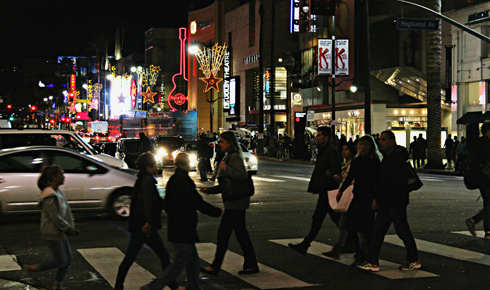 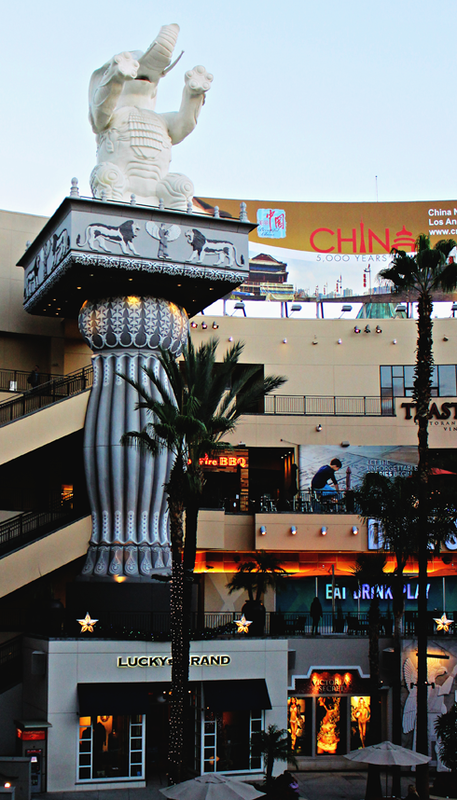 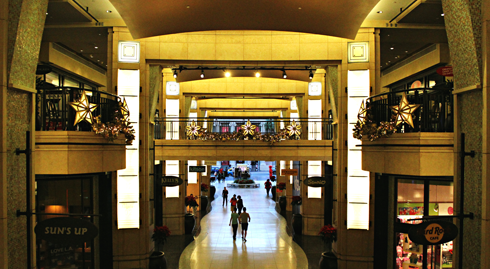 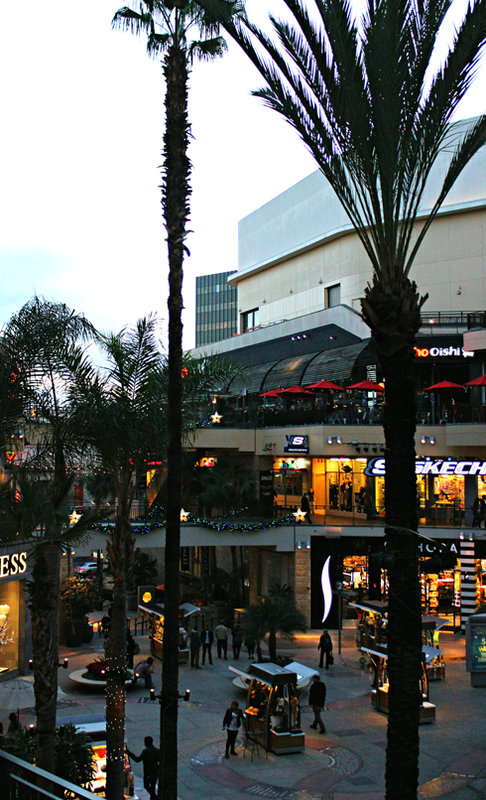 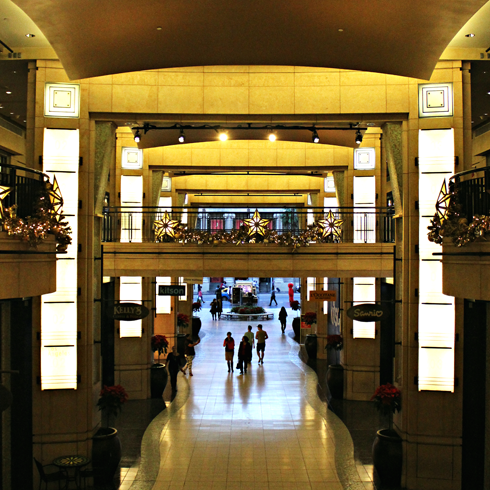 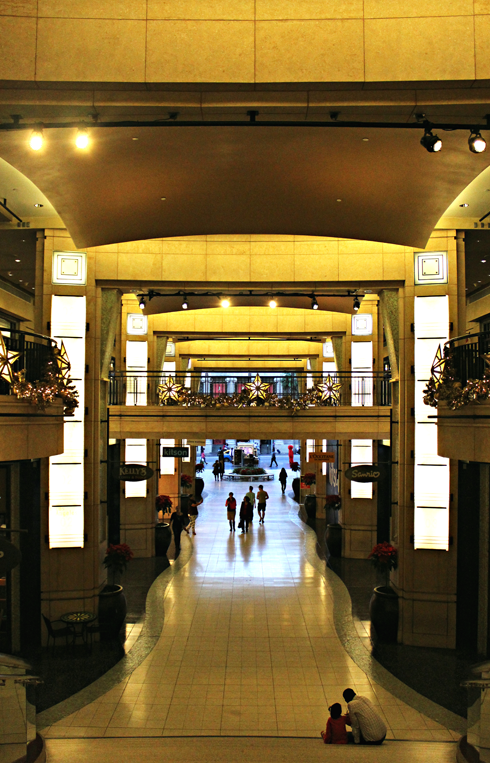 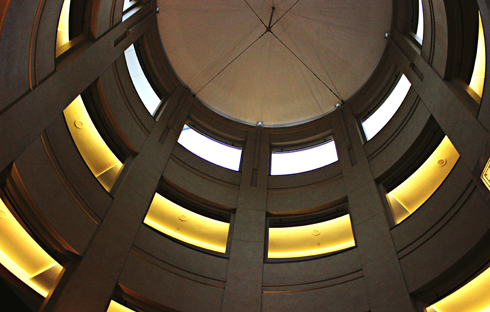 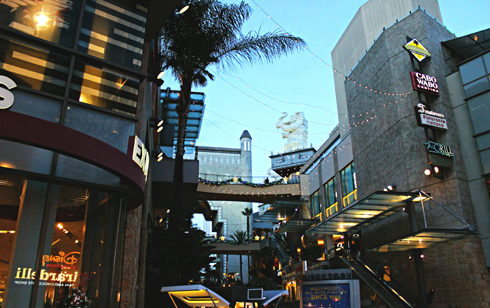 History like that is just one more reason to love Hollywood & Highland and the Dolby Theatre. 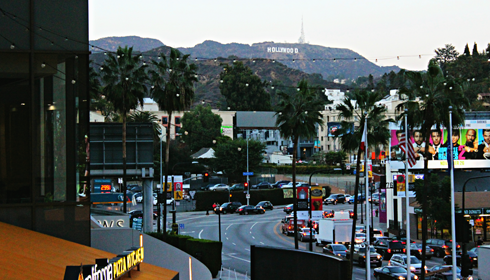 Looking at the Hollywood Sign in the distance from Hollywood & Highland was a bit surreal, only because just a few hours earlier I had hiked from the Griffith Observatory to directly behind the iconic sign. 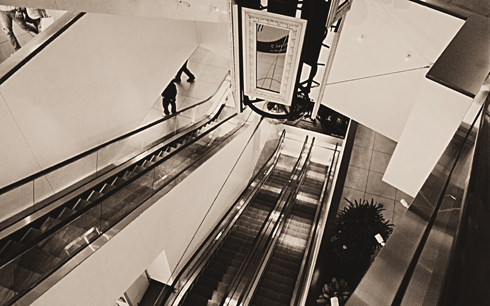 In contrast to that experience it suddenly seemed so small.